We TEAM Hughes Real Estate School instructors regularly get asked our opinion as to which is better, a classroom or online course. Each type of course has its own advantages and disadvantages, and some are below. Obviously, an online course is less expensive because instructor time is not built into it. An instructor is on standby for student calls during business hours, but what happens if a student has a question and the school is closed? Unfortunately, that student must stop at that point or come back to the concept after the question is answered during normal hours. This is a distraction for the student. 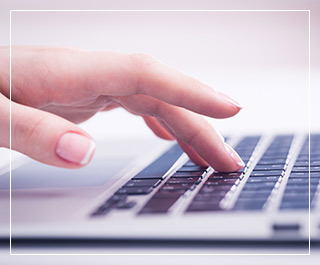 An advantage to an online course is that the student can access the course at any time. Some students are naturally night owls and their study habits are different than a student who sleeps regular nighttime hours. A self-motivated student can benefit without a structure, and will access the course as often as needed. A great disadvantage to an online course is the lack of a classroom. Most students need to ask questions when the questions arise, they want the benefit of hearing an instructor’s experiences regarding the concept, as well as other students’ experiences. The chance to network with others is often a drawing point, and depending on learning styles, many students find the interaction each day regarding the previous night’s assignments to be extremely valuable in learning numerous concepts. TEAM Hughes regularly acquires students who took a pre licensing course online, but were not able to get through it. They lacked self-discipline, they required the exchange of information with other students, or they needed assurance that an instructor was there to help. Obviously, the disadvantage to a classroom course is price, but we have found most students would rather pay a higher price for the assurance an instructor brings to the class. Besides, if a student can’t pay up front, TEAM Hughes Real Estate School is happy to help with financing at no interest or finance charges. The book, which does not necessarily come with the online course, contains over 400 pages, and it is impossible to teach every concept in 60 hours. We’ve taken the most important concepts and have expounded on them so that students will learn them in the allotted time. We also try our best to give as much information as possible to the students to assist them with the State exam. We are delighted at how well our students learn, especially in an accelerated course such as our One-Week Fast Track Pre License Course. We do not differentiate between online and classroom students and our only goal is to help them realize their personal goal of achieving a real estate license. So, whether you want an online course or a classroom course, check us out because we’re here to serve you.